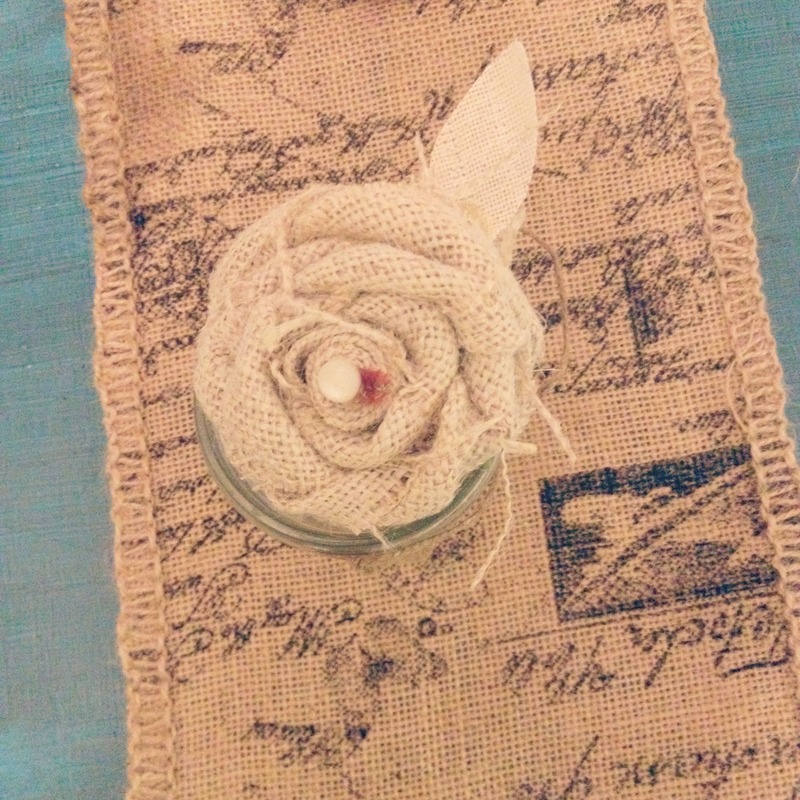 I promise this blog isn’t turning into Craft-aholics Anonymous. 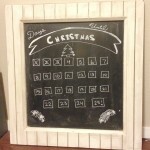 When I said I had the crafting urge of late, I really wasn’t kidding! This table runner came about by accident, and I kind of feel like cheating for even calling this a “project”. 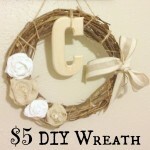 I was at Hobby Lobby the other night, getting a wooden “C” for my wreath. All ribbon was 50% off, so I did what any sane human would do– I browsed. I didn’t realize that Hobby Lobby sold ribbon that was 10″ wide. Seriously? How does this count as ribbon? No matter. 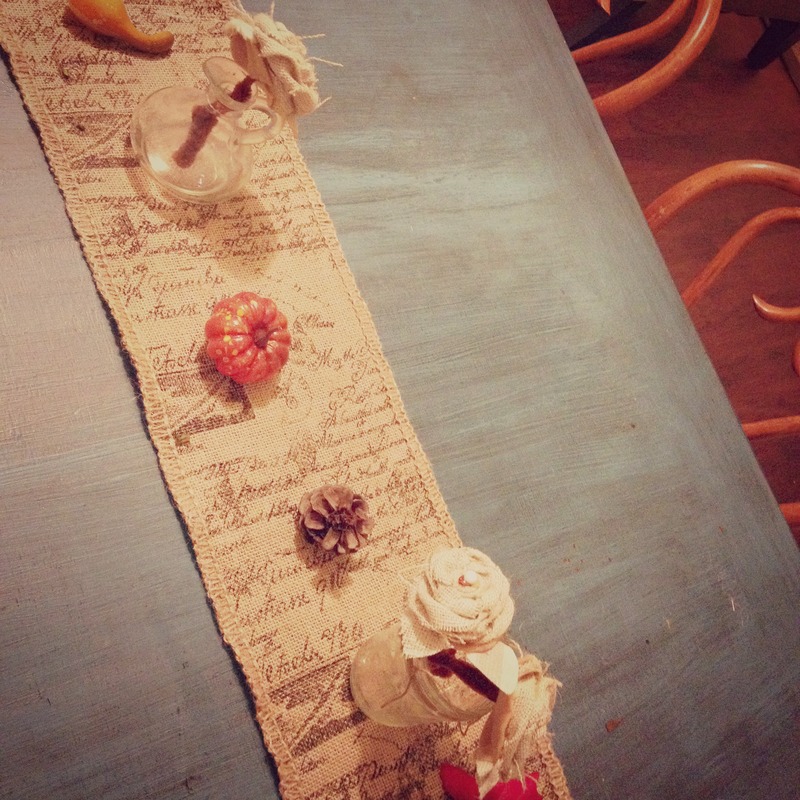 I realized that it would make the perfect table runner! And, at 50% off, it was only $7! 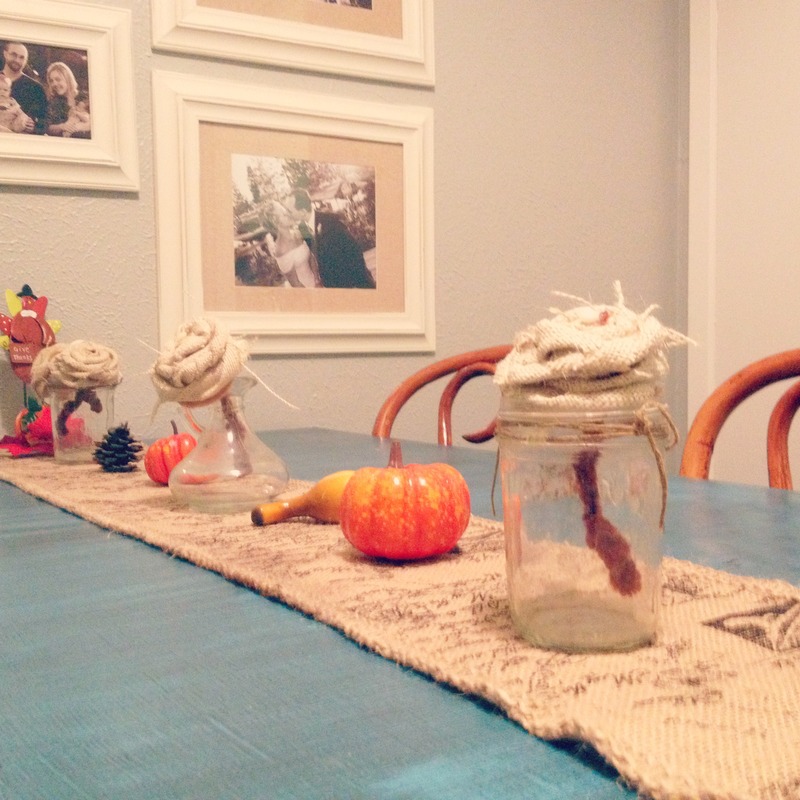 Of course, this table runner was just begging for some fall decorations. 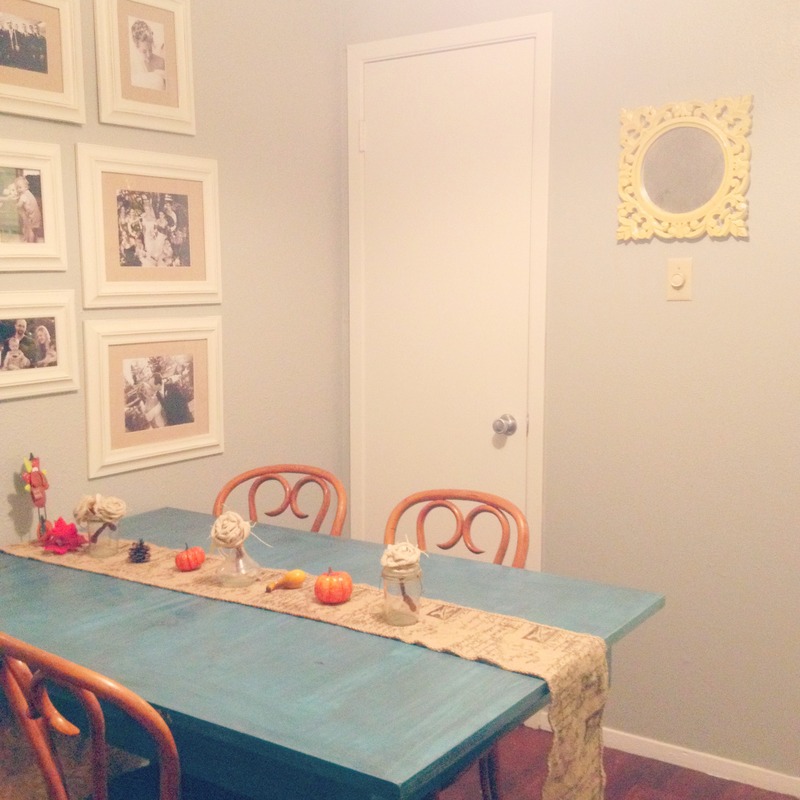 Our dining room is almost complete…we just need a different light fixture (not shown…yet!). 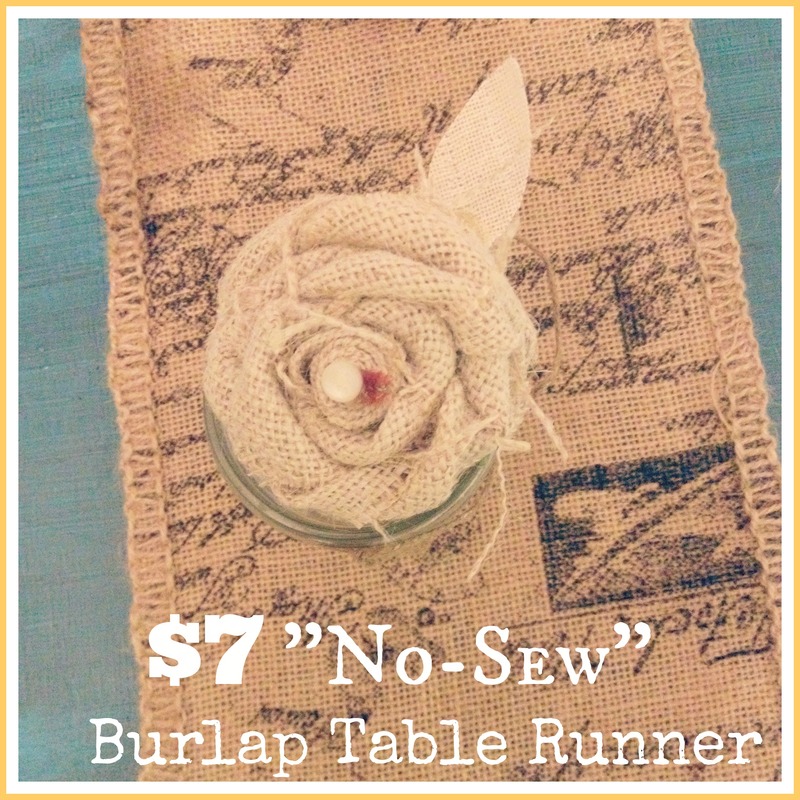 Now, go get thee to Hobby Lobby and buy yourself a burlap table runner!